I've linked to websites below but both of these are readily available on iTunes or various other podcast providers. 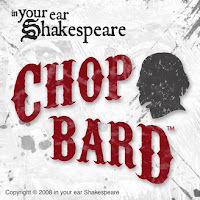 The Chop Bard podcast passionately picks apart the plays of William Shakespeare, scene by scene, line by line, in search of entertainment and understanding, in order to lift the plays off the page and onto their feet. With passionate insight and fearless examination, we offer the works of William Shakespeare in the spirit for which they were originally intended: As entertainment for a diverse and current audience. Ehren Ziegler truly is the cure for boring Shakespeare. He loves the history plays and is launching another one for us to explore — Henry VI, part 1. You are in plenty of time to join in since only the introduction has posted. 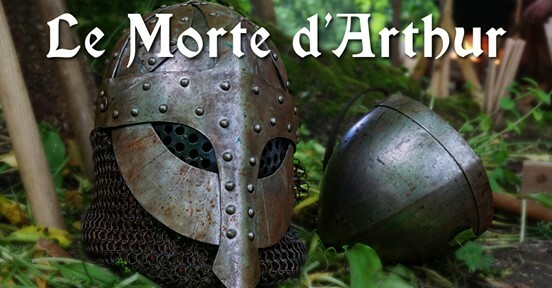 Starting in July 2018, Mythgard Academy will present a free seminar on Le Morte d’Arthur, the classic cycle of Arthurian tales retold by Sir Thomas Malory. 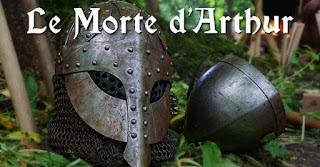 The tales have been the source of many later retellings of the Arthur mythos, including, for example, The Once and Future King by T. H. White and the 1981 cinematic feature, Excalibur. Our Catholic women's book club read this book years ago. I admit that I had enough trouble with the text that I resorted to a children's version to get through the story. So I'm delighted to have one of my favorite teachers diving deeper into the tale.